FPOV are very happy to announce that we have been voted ‘Best International Architectural Lighting Design Practice 2019’. A great start to our global operation, very proud of our teams who work tirelessly to deliver for our clients each day. To read more about our approach, click here to download the article from Lux Life Magazine. 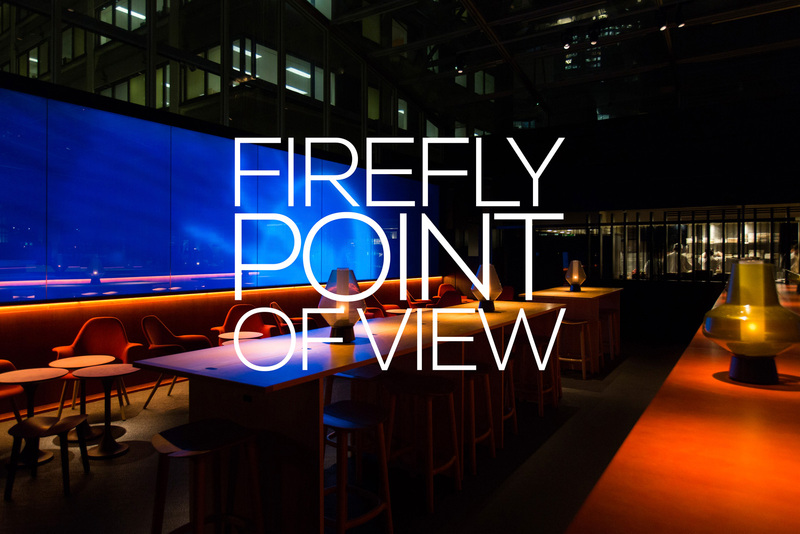 POINTOFVIEW, the award winning creative design consultancy; specialising in architectural lighting design and audio-visual systems design; founded in Australia in 2002, today announced it is merging with UK and Hong Kong-based FIREFLY Lighting Design to create a new brand, FPOV. 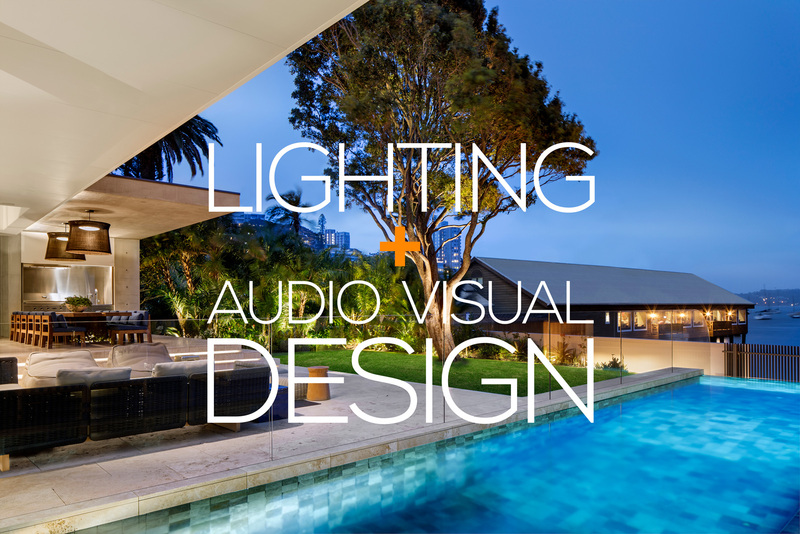 We are very happy to announce that following the expansion of our design studio last year in to the Gold Coast through the merger with our colleagues POV-TDLD the opening of our Perth lighting design studio lead by studio director and lighting designer Simon Lefort, this continues the growth of our studio to meet with our clients demands. Over the past 5 years we have been working with the club and Altis architecture on the refurbishment of this project, including gaming areas and multiple food and beverage outlets. 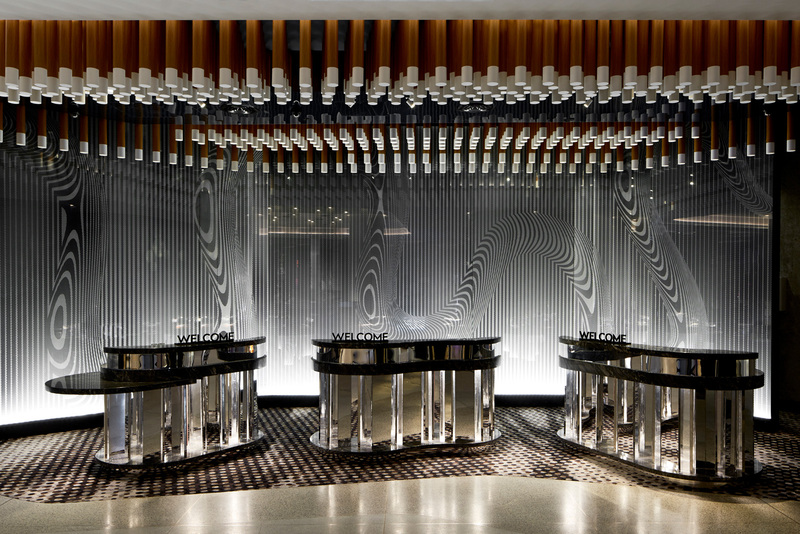 The newest in the W Hotel portfolio, W Brisbane is a dynamic property design by Nic Graham & Associates. We enhanced the textural palette through a restrained use of architectural, dynamic and coloured lighting in line with the hotel branding and market positioning. In the shadow of the Burj Khalifa, Sean’s Kitchen Dubai is in the Zaha Hadid designed Dubai Opera House. Designed by Interior design Alexander & Co, POINTOFVIEW provided the lighting design to our third Sean’s Kitchen with Chef Sean Connelly. Working in collaboration with the interior design team at Bates Smart, we custom designed the chandeliers and the overall lighting scheme in the renovated ballroom at the Four Seasons in Sydney, a popular venue of weddings and corporate events alike, the venue is flexible in its operation and the lighting design is tailored to meet the varied uses. A hotel like no other, United Places is a totally unique and boutique experience. Lighting is used in a balanced and selective manner to enhance the architectural form and finish without imposing upon it. The hotel consists of twelve rooms over three levels with a lobby experience on the ground floor. The lighting scheme is carefully considered and a testament to the notion of “just enough” which is one of PointOfView’s guiding principles. Extending our hospitality expertise to fitness, POINTOFVIEW have recently completed the boutique Virgin Active Gym in Barangaroo Sydney. Implementing dynamic lighting synchronised with the audio specific to each class the lighting is an integral part of the user experience. This is the completion of a luxury residence in Sydney Australia with SAOTA architects and ARRCC interior designers from South Africa. The privacy screen on the façade is made from the plastic chainmail created for the lord of the rings movies. In this application light is grazed across it at night to make a visual barrier, by day it acts as a semitransparent shade screen. Recently completed one of the areas POINTOFVIEW are working on at The Star Casino in Sydney Australia. 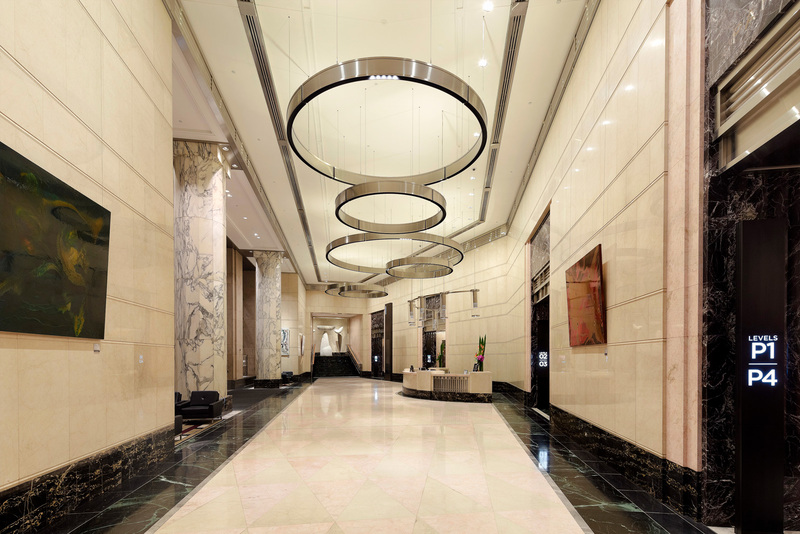 A custom LASVIT chandelier surrounding the column in the reception space is a commanding entry experience. The first of our two M Gallery Hotels completed earlier this year. Celebrating racing history and the thoroughbred industry, The William Inglis is a boutique equine themed, M Gallery by Sofitel 5-star hotel. The William Inglis Hotel is an iconic destination in Sydney with rural soul, celebrating a passion for equine culture and heartfelt hospitality for generations in the making. Working closely with Interior Designers Chada, the POV team illuminated the public spaces to this individual hotel. Working with project managers EVC we transformed this previously drab commercial lobby space in to something spectacular. Architectus created the space and working with their ID team we custom designed the ring pendant installation, and enhanced the café area. A recent collaboration with M&L hospitality. The newly opened West Hotel in SYDNEY is a Curio Collection hotel by HILTON. 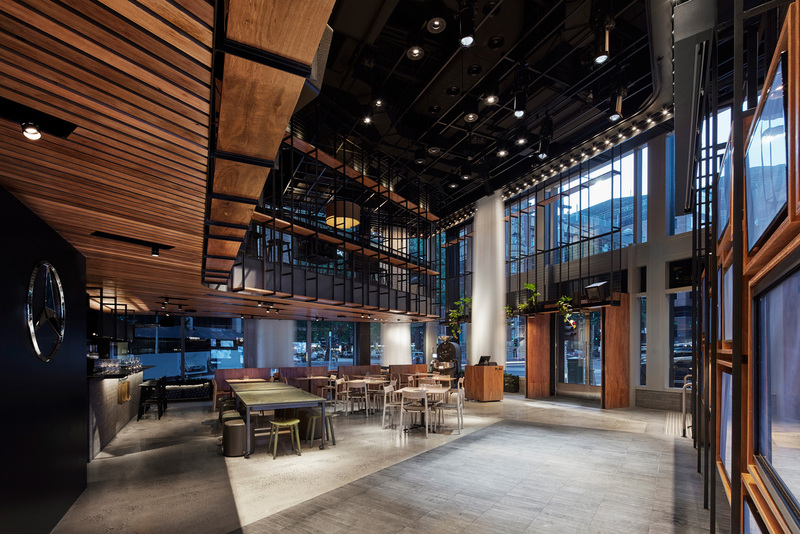 Interior design by Woods Bagot and Architecture by Fitzpatrick and Partners. Bringing together our lighting design and AV / theatre designs skills; working closely together with interior designer JCB, to deliver a truly impressive concept for Mercedes. Bringing our hospitality experience to aged care we have recently completed two projects for the Cranbrook Care group, who deliver luxury aged care to the market, bringing the 5 star hotel experience and all the design elements that involves to the clients. In the inaugural LIT international lighting design awards our multi award winning projects Westpac Barangaroo and Sydney ANZAC Memorial were recognised as winners in their categories, exterior lighting and workplace amongst the worlds best projects. Opening tonight the William Inglis Hotel MGallery by Soffitel is a boutique equine themed hotel adjacent to the thoroughbred sales arena and parade ring. Below is the stable area for some world class race horses. This is the first of two MGallery projects we are working on in Sydney, the second still in construction in the centre of Sydney incorporating the heritage Porterhouse building housing multiple F&B venues. Watch this space. We are proud to announce the completion of our first European project. 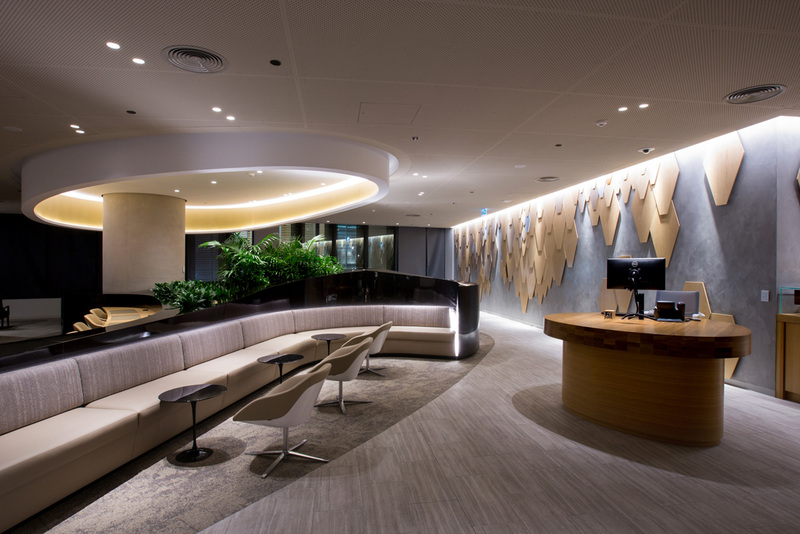 After a decade of collaborate with Qantas, we have taken our POINTOFVIEW to London and worked with Woods Bagot to design the lighting to the all new Qantas Lounge at London Heathrow. This project now takes our work across the globe to an ever extended reach. Five continents and counting, only South America and Antarctica to go! The Moreton is a luxury residential development by Mirvac, with Smart Design Studio as architects and interior designers. We were engaged as lighting designers to enhance the public areas. Bringing our hospitality lighting credentials to the high seas, POV were engaged for the refurbishment work on the Pacific Explorer Cruise Ship. 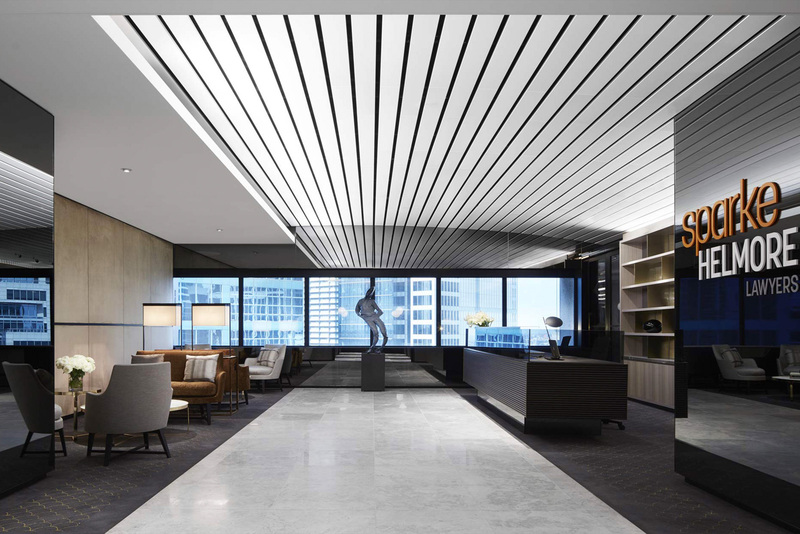 We worked with Bates Smart on the Four Seasons Sydney Ballroom. Designing custom elements in the space including this chandelier. Today marks the dawn of a new era for both TDLD and POINTOFVIEW. For POINTOFVIEW the expansion to a third design studio in Australia. 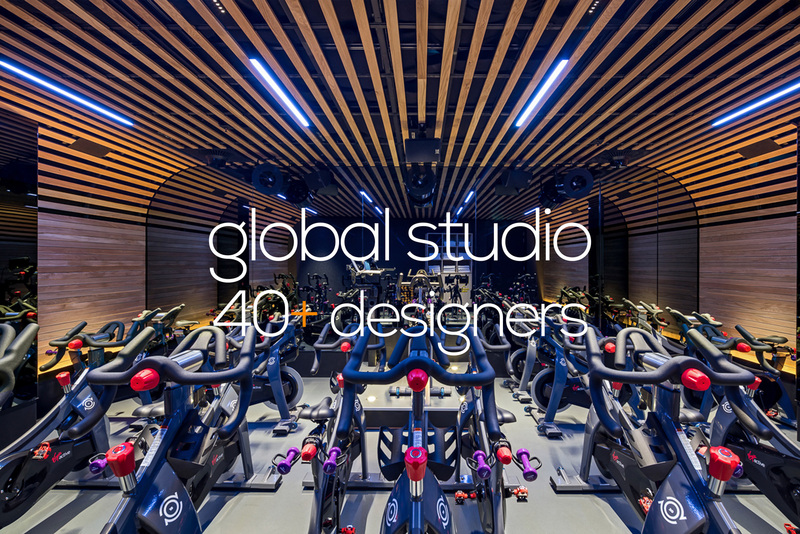 Joining our Sydney and Melbourne Studios, Gold Coast (in QLD) extends our service and reach throughout Australia through a team of likeminded designers. The synergy we share between POV and TDLD in design direction, client relations and project portfolios, creates an unrivalled team in this region. It will drive advancement in both local and international projects. In a global client based community it enables our clients to be serviced from local offices with the weight and experience of the overall team. We’re are looking forward to the opportunities this will bring and the realisation of the expansion of POINTOFVIEW. For TDLD a new chapter of the company; following on from the last 18 years under founder and Australian Lighting Design pioneer Tony Dowthwaite; during which TDLD has grounded itself through design excellence in past projects as the No.1 Lighting Design Practice in QLD and a leader in our region. Through achievements such as Elements of Byron – Byron Bay NSW, Etihad Towers – Abu Dhabi UAE, W Hotel – Kuala Lumpur – Malaysia, Intercontinental Resort Natadola – Fiji Islands, Westfield Pacific Fair and Shaolin Temple Central China, TDLD has reached admired success in our industry to be built on through this new partnership. Ash Dowthwaite will become a Director in POINTOFVIEW-tdld looking to drive the team forward to future projects with Tony partnering in the development of this new venture. We are confident that our management group, combined with our talented diverse design team, will continue to offer design solutions & thorough documentation the broader construction industry. Working with 'BOLD COLLECTIVE' on this warehouse conversion to create a vibrant working environment for ENERO and Branding, Marketing and PR agency. The lighting approach was driven by the nature of the building; the lighting was all exposed and carefully positioned to enhance the raw materials of the space, brick work and original timbers. Dedicated task lighting as opposed to a general illumination ensured for a dramatic environment with varying light conditions to suit the task at hand. 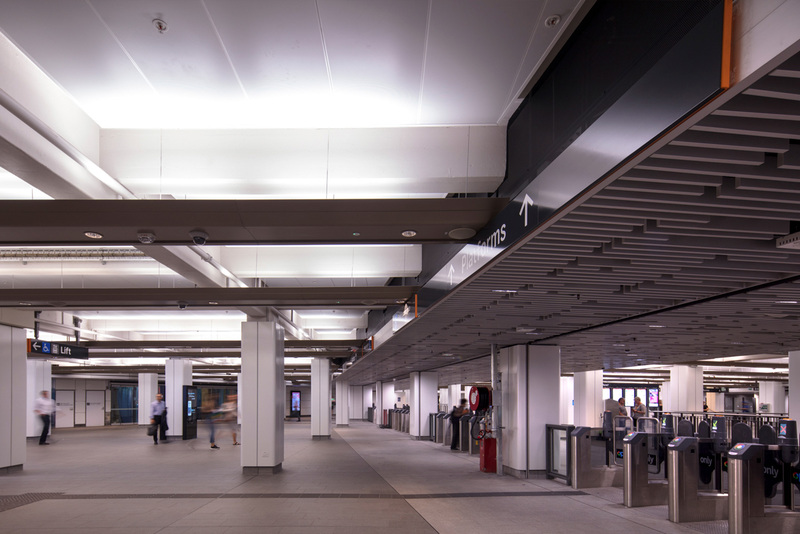 POINTOFVEW worked closely with COX Architects on the renovation of Wynyard Station. A custom designed profile was designed as a multi=service Unit (MSU) carrying all the necessary services to keep the ceiling free from clutter. The lighting is a direct indirect approach, using warm white in the downlighting elements to create an inviting human scale environment with cool white uplighting to create a sense of openness. We are currently working on Townhall station, to be revealed soon. A simple but well executed lighting approach to this sculptural gateway in Melbourne. Working with McBride Charles Ryan Architects POINTOFVIEW enhanced to form and textural quality by grazing light from a close offset capturing the curves and punctuated façade. The Iconic Brisbane riverside development by Harry Seidler has been brought up to date through the implementation of LED units, to provide perfect wall washing to the travertine walls. POINTOFVIEW worked with the existing infrastructure and luminaire locations, due to the cast in positions of the original scheme. Obvious energy and maintenance efficiencies are brought to the project, but the wall washing effect using the optical control available through the Erco LED equipment, has provided an effect far enhanced from the original PAR lamp solution. Interiors by KPDO and landscape design by 360 degrees. This Burberry store is within a heritage listed building restriction the works that could be undertaken. This project for us was an exercise in upgrading technology, reducing energy consumption, improving visual comfort and enhancing the contrast of light on the merchandise over the ambient lighting. Using SORAA lamps with high CRI to reveal the true colours of the merchandise whilst more than halving the energy using. PointOfView were appointed as lighting designers at Sky City Adelaide for a series of new works including Sean’s Kitchen. We worked with Sean on his restaurant at The Star in Sydney years ago so it was great to reignite the partnership. This time around Alexander & Co. created the interiors in a polished yet industrial aesthetic lighting the double height volume whilst maintaining intimacy was the key challenge here. Achieved through the use of joinery mounted floor lamps custom designed with accent spots to highlight the dining tables. Briefed by Parliament of Victoria as lead consultant to bring life back to the 150 year old undercroft passageways PointOfVew created dramatic concourse to this public building enhancing the chiselled blue stone pillars and brick barrel vaulted ceilings with accented spots lights and indirect illumination. 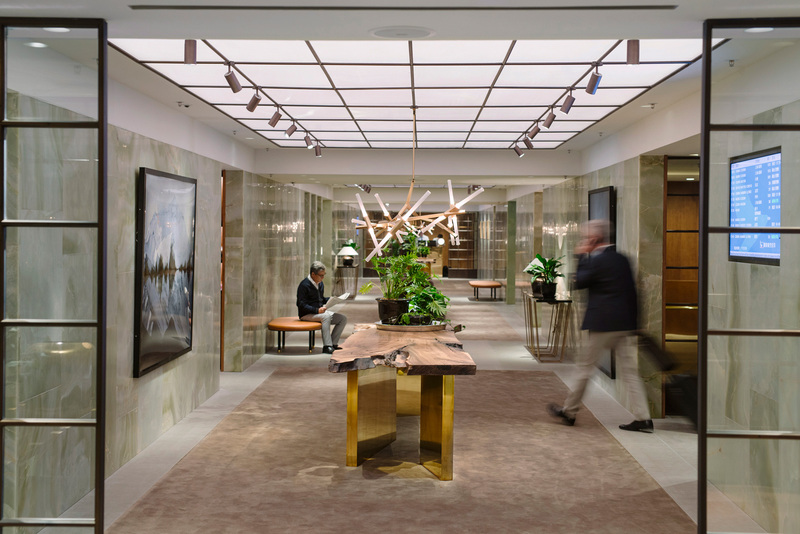 We recently completed the lighting to this iconic space within the Shangri-La hotel in Sydney. Arguably, with one of the best view in the world from a hotel the Horizons Lounge is the private members Lounge for Shangri-La preferred Guests. It has a 5 storey window looking out onto Sydney's world famous Harbour with views to the harbour bridge and the Opera House. In usual fashion and taking advantage of the volume of the space we custom designed some 'Lighting Elements' that not only created a massive impact to the centre point of the space but is also visible through the window from across the harbour, advertising the Shangri-La's premium offering. Recognised for our expertise in hospitality lighting design we were appointed by Starwood to design the lighting to this fabulous resort in New Caledonia. The architecture was typical to the region and very impressive with 20m soaring timber structure and grass covered roof structure and open walls to truly experience the resort lifestyle. This gave a textural and sculptural canvas for us to enhance with light. Working with Interior Designer Chada we created a more intimate ambience for night time dining and drinking at the bar. Custom made pendants (equally sizeable to suit the space) were created and fondly labelled the lobster pots. These provided the general glow and accent downlighting to tables and passageways. PointOfView were appointed as Lighting Designers for the lighting for Sydney Australia Townhall in 2012. The majestic and highly details architecture and stonework has now been brought back to life. Using high colour rendering LED products the detail and texture of the sculpture are revealed. The facade is designed with RGBW LEDs to enable the building to be painted with coloured light for festivals and special occasions. 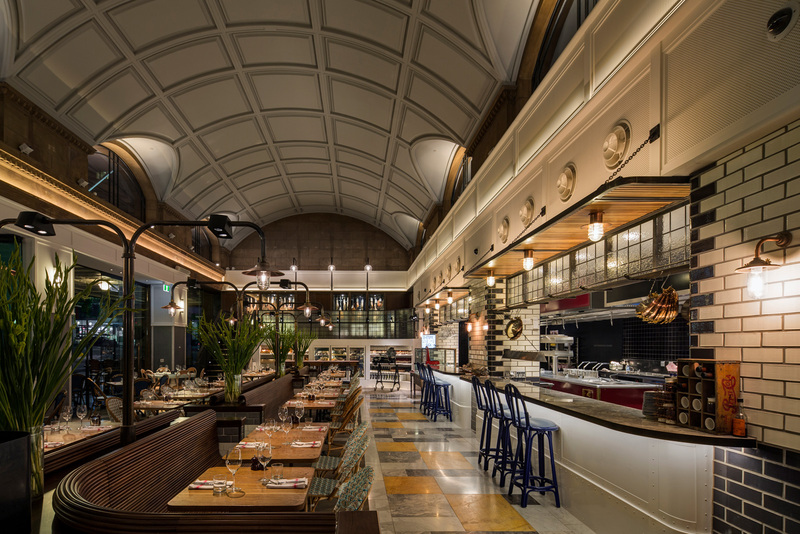 Recently opened at Jupiters Casino in the Gold Coast, Botanica is a perfect blend of inside and out with lighting to detailed and programmed to suit the ambience of conservatory dining. We love Working with DBI, they create amazing spaces, we're looking forward to our new project in Abu Dhabi being completed but have a few years to wait yet. PointOfView were engaged by Café Sydney to upgrade the bar area in collaboration with Hassell. The main focus of the lighting design was a two way mirror wall in day time reflected the amazing view of the bridge and opera house by night a digital display comes to life with artwork created by Bruce ramus. The first phase of our lighting design works at Perth Airport have been unveiling a modest yet architecturally beautifully design canopy which is internally illuminated with Lear LED with optical control to enhance the faceted form. PointOfView are working as Lighting Designers across a number of areas of the Domestic and International terminals of this Australian Airport. 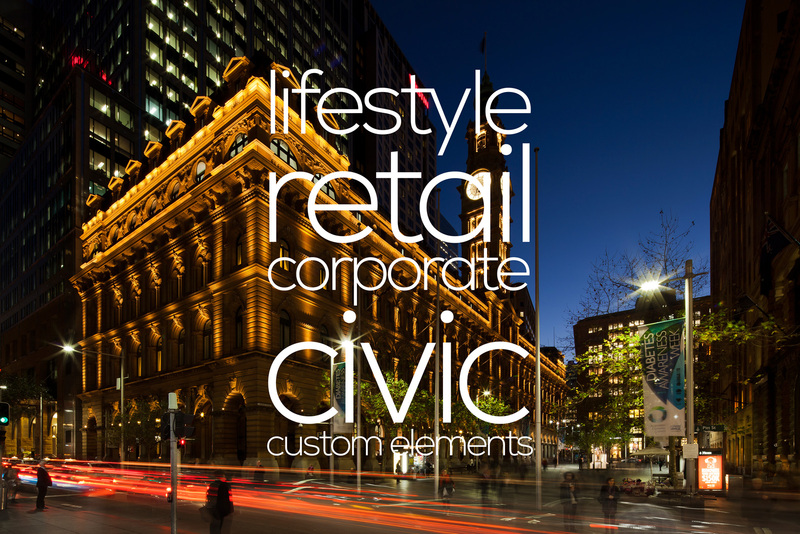 We recently moved from our founding home in Rozelle to be closer to the action in the heart of the city. With an opportunity to design our new space we have practiced what we preach in our workspace by creating Custom Lighting Elements focussing on indirect illumination with additional individually controlled task lighting. Our new design Studio in Sydney has enabled us to grow and we have appointed Simon Lefort as Design manager. Simon joins us with great experience in lighting with a background in theatre lighting his understanding of light and shade, to create drama is an essential skill for the way we work. Also joining our team is Linsey Walker who joins us as Senior Lighting Designer, Linsey has come to us from the UK with experience in high end residential and civic projects. The existing club demolished and newly design building by Hassell stands commandingly over the water. The design inside very open to the elements and the lighting helps to enhance daylight by uplighting the ceiling by day and using track mounted spots in between the ceiling panelling by night. This iconic KPF art deco inspired building needed a face lift the architecture stood the test of time with the finishes still offering a commanding appearance for the high powered business men and women working within the building, but the lighting was not up to the same standard. 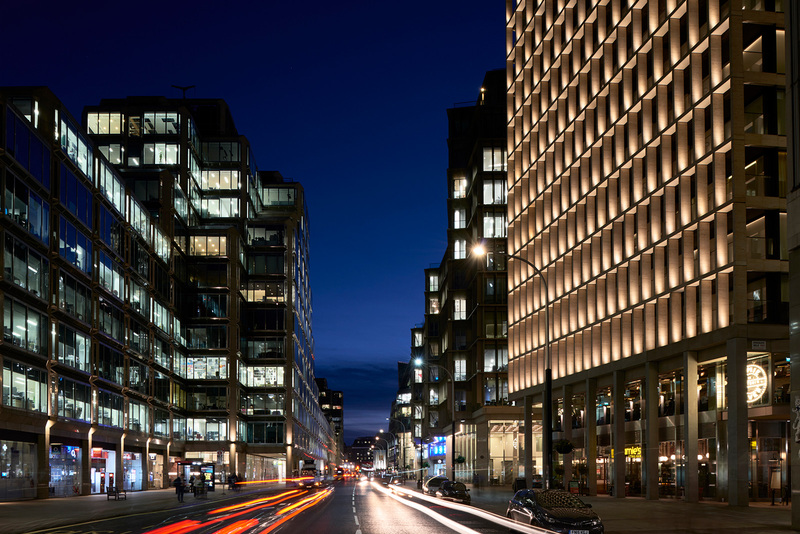 We approached this building with sensitivity and tailored a lighting solution to sit within the existing space appearing as though it had always been there. Custom design rings offer a sculptural visual whilst the rear stone wall is washed with light. HotelHotel is a departure from the typical city hotel an urban luxury shack designed by March studio sitting with a building by Fender Katselidis. This is a sustainable project design with drama and texture in mind. For Canberra it’s a sanctuary from corporate hospitality world for those who are feeling a bit rock and roll. We recently completed the One Spa at RACV in Queensland. It’s a departure from the usual dark moody spa’s the brief here was a fresh open spa to compliment the translucent tensile fabric roof structure designed by PTA. By day daylight streams into the space through the skylights and the fabric roof but night, light is cast up onto the roof, and lighting is integrated into the joinery. 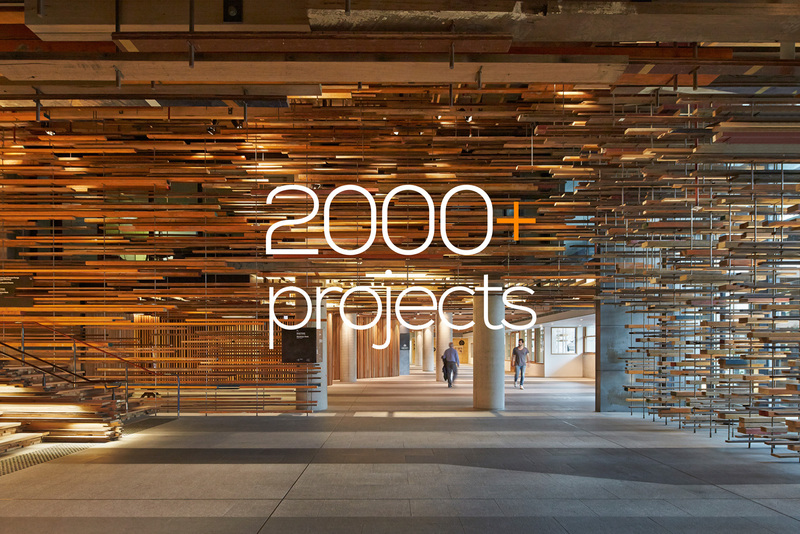 Always a pleasure working with Hassell and a great challenge designing the lighting for their new studio in Sydney. It’s a heritage building with 5* green star aspirations and a tight budget three ingredients that will always drive us to deliver great designs. A complex roof structure didn’t need additional elements to further complicate, so we worked hard within the restraints to conceal equipment whilst meeting the greenstar light requirements (not an easy task!). Following our engagement with Hassell to light their Sydney Studio Bates Smart were next off the rank, with their conversion of the 20th Century Fox building in Surry Hills. Six weeks from start to finish! Testament to what can be achieve with a solid budget from the client and open dialogue between contractors and consultants. It really is possible to complete a project without ‘Value engineering’! The NSW Lighting Awards awards were held at Darling Harbour Convention Centre Friday 22nd November 2013 and the creme de la creme presentation of the evening went to... us... for our fantastic work in the public spaces at the QT Hotel in Sydney's CBD. We have previously partnered with QT Hotels on their Gold Coast Resort and are presently working with them on their new Melbourne project. Of course this award winning lighting would not have been possible without the efforts of Indyk Architects, Nic Graham + Associates and AHL who created such individual spaces for us to light. At last Sydney has a boutique hotel where guests from any of the world's great cities will find things very much to their liking. 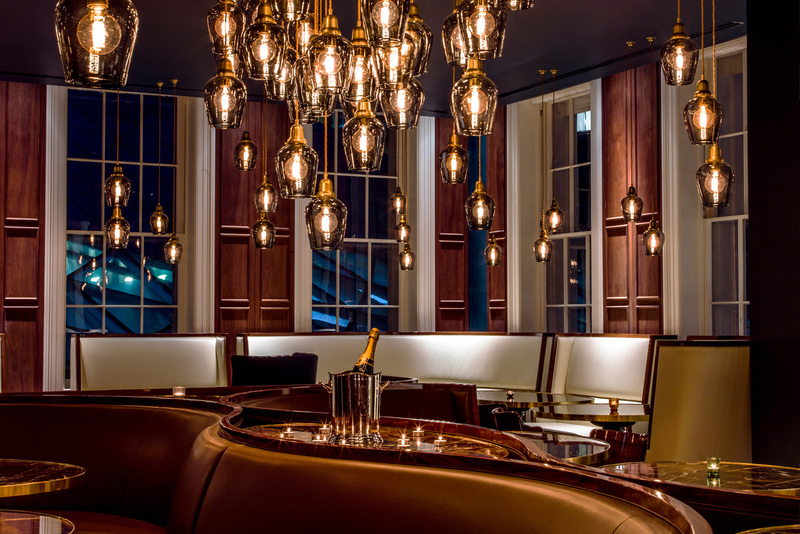 When POV was briefed on the new Collins Bar at the Adelaide Hilton it was indicated by the client they wanted to achieve an ambiance even James Bond (the Daniel Craig version) would find beguiling. It also had to appeal to a travel savvy business clientele and locals wanting a world class experience. International Hilton guidelines also required 100% of the lighting be LED. POV has always enjoyed a challenge. We custom designed a unique central ceiling feature to provide a stunning visual centerpiece above the bar. LED strips on the top of each of its blades light the coffer for high ambient lighting during the day. The fully glazed facade was particularly tricky. By day, daylight ingress had to be embraced to provide high ambient light levels whilst by night the clientele had to feel enclosed by the space and not be drawn to the busy road and street lighting outside. White and amber LED's were used within down lights to match to the color temperature shifting of halogens when dimmed, critical in an hospitality environment. The overall effect is one of style, sophistication and originality. So should Daniel Craig's 007 adventures ever take him to Adelaide we are quite sure he'll feel very much at home. Sydney Indesign 2013 opened on 15th August 2013 with a Worklife seminar designed to look at ‘The Future of the Workspace". Titled "Workstations or Playstations – How Productive is Your Workplace?" it covered the evolution of workplace design and philosophy. Mark Elliott, Principal at POV was a very active member of the live panel involved with discussions and interacting with the attendees, predominantly architects and interior designers. The incredible advancement in lighting technology in recent years and the influences it is having on our office towers, shopping malls, restaurants and public buildings not to mention our lives has helped position the lighting design industry very much top of mind in both commercial and public arenas. 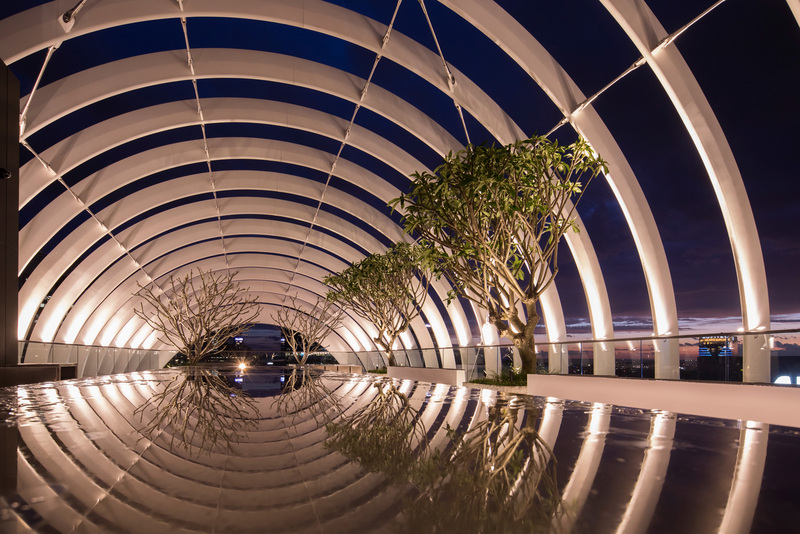 Mark's vast experience lighting projects around the globe saw him dispel a few fallacies and provide hard facts as to just what lighting can and can't do. "Never before has lighting played such a dominant and prominent role in our lives. Get light right and it can improve productivity, health and enjoyment. Get it wrong and the opposite will happen", he said, (amongst other things). Mark was joined on the panel by Laurie Aznavoorian (Geyer), Jeremy Hocking (Herman Miller) & Simon Trude (2D3D Creative studio). PointOfView have completed a lighting installation work for Sydney’s iconic Revesby Workers’ Club. First opened in 1962 on a site that was once ‘Cooke’s Farm’ the total refurbishment of the much loved club cost over AUD $10m. We were responsible for lighting the entire project. Management duties were performed by Cerno and included all restaurants, gaming areas, gym, café, hairdressers, lounges and stages. POV has recently won the contract to provide interior lighting design for the new Melco Crown ‘Belle Grande’ Casino and Hotel, part of 1 billion dollar Entertainment City Complex in Manila. The Casino and Hotel are owned by Australian billionaire James Packer and the son of Asian billionaire Dr Stanley Ho, Lawrence Ho. 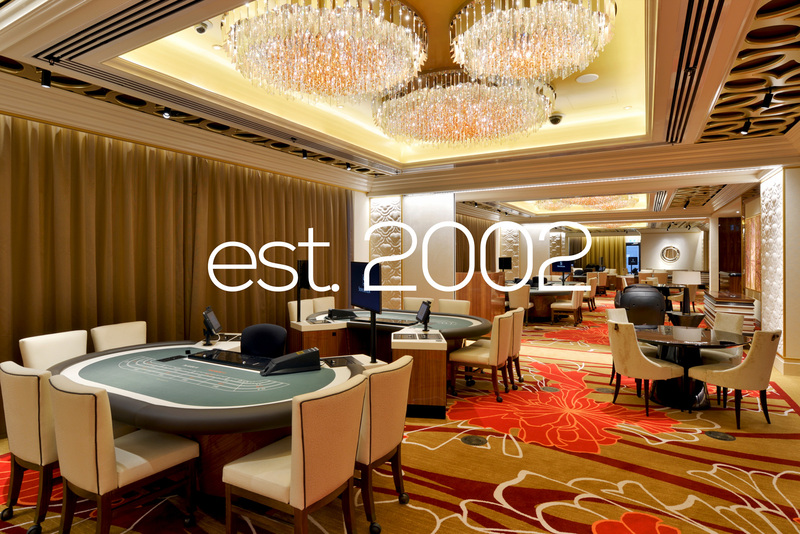 They represent the first project undertaken by their company Melco Crown outside Macau. This is a fabulous win for us as it comes following the work we have already completed for Melco at their 'City Of Dreams' Casino in Macau. The Entertainment City complex is scheduled to open in mid 2014. The WA Chapter of the AIA held their Architecture Awards in Perth on Friday, July 5th. As well as honoring the best architecture in the state for 2012, the ceremony includes the presentation of the prestigious Mondoluce Lighting Award. "This award is a bit special" said PointOfView Melbourne Director Bernie Tan-Hayes, "because you can't just enter, you work has to be selected. So while we didn't win this year, to be shortlisted is an achievement in itself". It was PointOfView’s Lighting Design for Cox Howlett & Bailey Woodland’s restoration of Hale House, the 1914 heritage building that will be the new home for the premier of WA and up to 30 of his staff that attracted the attention of the AIA this time around. Cox Howlett & Bailey Woodland had already received two architecture awards for Hale House in the Public Architecture and Interior Categories earlier in the evening. “The night was a great success”, added Bernie, “hopefully lighting will become a permanent category in all architectural award shows”. POV DesignDirector MarkElliottPOV will team with leading NYC architects Kohn Pedersen Fox (kpf), to provide facade and landscape lighting for a landmark Mumbai based development by Oberoi Realty. The two tower (69 and 52 story) complex, comprising of an hotel, offices and apartments is known as the 'Worli Mixed Use Development’ named after the high-end suburb of Mumbai it is located in. Burberry Facade Render LOWWe are working on lighting the facade of the heritage Burberry flagship store in Sydney. This is an important store for the brand, which combines the full Burberry product offer with the very latest in digital technology, giving shoppers a megawatt brand and luxury experience. Angela Ahrendts, CEO of Burberry said "the innovative store environment inside a beautiful heritage building is the perfect reflection of the history and modern attitude of the Burberry brand". We are proud to be 'presenting the face' of the Burberry exterior to take it's place among the sights of night-time Sydney. We aim to perfectly express the brand, in light. 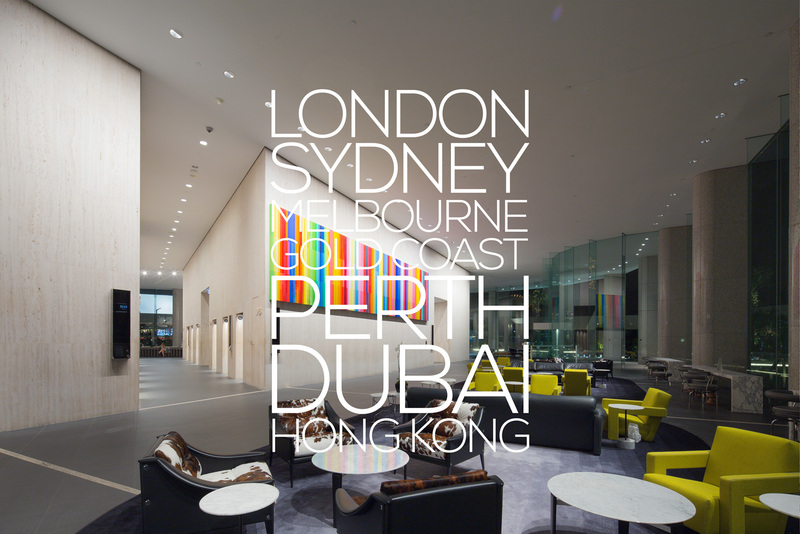 We just finished the lighting design for the foyer of this landmark CBD office building, originally built in 1985. The owners recognised the need to re-position the building within the Sydney market place to attract new tenants. The scope of work included remodelling of the loby and its lighting. Our lighting shifts away from typical down-lighting, and makes a feature of sculpture, coves and artwork. 'Washing' the marble wall enhances the sense of daylight ingress. At night, the wash is turned off and drama unfolds as in-ground uplights kick in. We sought to bring extra value to rich materials and a sense of quality to this prestigious building. Recently completed the lighting design at Jimbo & Rex at the West End of Crown complex, Melbourne, was an out-of-the-ordinary type of project for POV, but enjoyable all the same. Sara McClintock led the lighting team and took her cue from interiors by Mim Design, where natural materials such as wood, stone, ceramic tile and copper bring character and depth to a relaxed ambiance. At the beginning of March POV Design Director Mark Elliott was invited to speak at the new Infinity Awards, held by Illumni Blog in Sydney. He spoke about the value of creativity and how lighting designers are inspired by creative processes. Yet he feels the value of their creativity has been degraded in recent years. Perhaps new technology forces designers into a rigid world of 3D modelling. Reverting to paper and pencil and visual dialogue might provoke discussion and imagination, liberating a more creative approach. He called for Lighting Designers to break the cycle, get back to what they love and drive creativity back into the industry. Why should artists and sculptors take all the creative laurels? We were delighted to create the lighting design for this sumptuous new restaurant by Neil Perry which opened late in 2012 at Crown Melbourne. Behind the traditional surface of table lamps and chandeliers lie new technologies such as LEDs and fibre optics. The lighting like the decor by BKH, is slightly enhanced to give a contemporary spin. Marble, leather, velvet banquettes and plush carpets - materials are assembled in a subtly pop version of true Italian luxury. We sourced fixtures from Barovier & Toso (Murano), Masson for Light and Litesource. contemporary spin, and a very rich combination of materials and colour. The intention of the lighting is to accentuate this richness, bringing to life the key finishes, artworks, furniture and decorative elements. The base lighting in the main dining areas is quite dark, while private dining areas are brighter. We made bespoke pendant lanterns reflecting the reds and gold in the decor. demanding specialist knowledge and skill. At the JWS offices, timber, leather and lighting effects create an elegance that breathes with a sense of solidity and permanence. At The Darling Hotel, we worked closely with DBI Design, and the biggest lighting challenge was to create a sense of intimacy in the tripple hight atrium in the lobby. 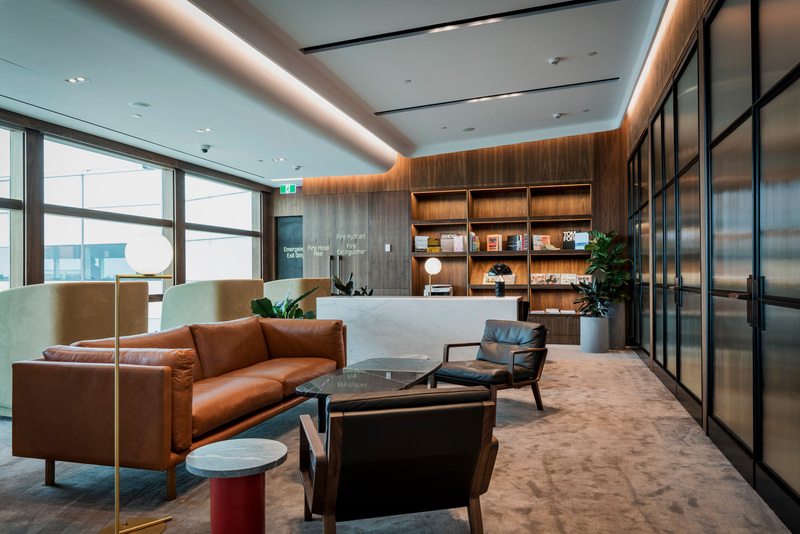 Light was sourced at low levels - floor lamps, integrated joinery lighting and in-ground luminaires, and the red feature-wall behind the reception desk draws the eye to a low ceiling zone. Over a period of five years PointOfView worked with Westfield to bring together this project. A huge redevelopment of an existing property. During the design we challenged the guidelines to bring this project to a successful completion creating a dramatic and inviting shopping experience within the Scentre Group portfolio. The printers have done a superb job. It's a tremendously exciting moment. We are happy to be lighting the spectacular 'Mazda Opera at the Bowl' free concert in Melbourne on Saturday 1st December, showcasing some of the world's favourite arias sung by some of Australia's best singers. The line-up includes Martin Buckingham, Giorgio Caoduro, Nicole Car, Warwick Fyfe, Dominica Matthews, the Opera Australia Chorus and the Melbourne Symphony Orchestra. The Sydney Meyer Music Bowl will be lit up in every sense! POINTOFVIEW RECIEVES 2010 IES EXCELLENCE AWARD! Like a precious jewel in the rough, Tasmania's new resort, Saffire, was designed sit perfectly in its delicate environment. Architects Robert Morris Nunn, Interior Designers Chada and Point Of View Lighting toiled carefully to create a structure which mirrors the exceptional light and shade of the natural surroundings. In line with our strong hospitality profile PointOfView have recently completed the lighting design for Sydney's newest and grooviest hotel, QT Sydney. This is Sydney's second new hotel in 2012, following the opening of The Darling at The Star Casino complex, lighting also designed by PointOfView. PointOfView Lighting Designers in Sydney make The Darling Hotel be the twinkle in the new Star Casino.